Take a dip in our famous airplane-shaped swimming pool located in the Landing Strip Beach Club. Whether you want to relax after a long day of traveling, tests, or if you just want to cool off from the blazing sun, Flying W’s Landing Strip Beach Club is the best place to get soaked. 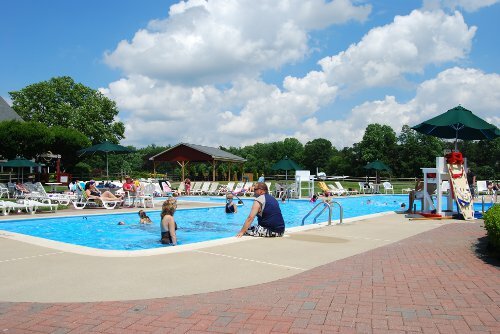 We offer seasonal or daily pool passes and memberships so you can enjoy the water with the family for the entire summer. 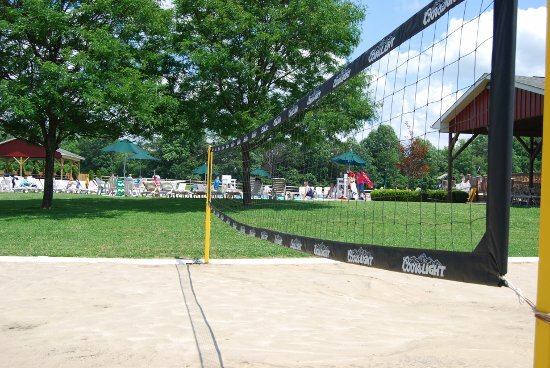 Other than swimming, The Landing Strip Beach Club is also open for other activities like volleyball or horseshoes, so you and your kids will never get bored. Check out our early bird rates for 2019! Note: On dates when there is a concert with a cover charge, you can show your season pool pass or your daily pool pass with the same date as the event and you won’t have to pay an extra fee. Click this link to download this year's member application. Kickstart your summer vacation. Contact us at 609-267-7673 for more info.